There are 62 posts filed in Career (this is page 1 of 7). I usually run three days a week, like clockwork. Monday is a track workout, Thursday is a short run, Saturday is a longer run. It usually adds up to about 10 miles a week unless I’m training for something (like a 10k race or a 15k with the flu). Here we are on January 16, and I haven’t run at all this year. Last time I ran was December 29, 2018, about six weeks after I finished my first Half Marathon. It’s really frustrating, but it’s also necessary. I have been battling a couple of overuse injuries for a few months, just sort of hoping they would work themselves out if I kept training with good form. Sometimes that works, sometimes it doesn’t. This time it didn’t work and it made things worse. 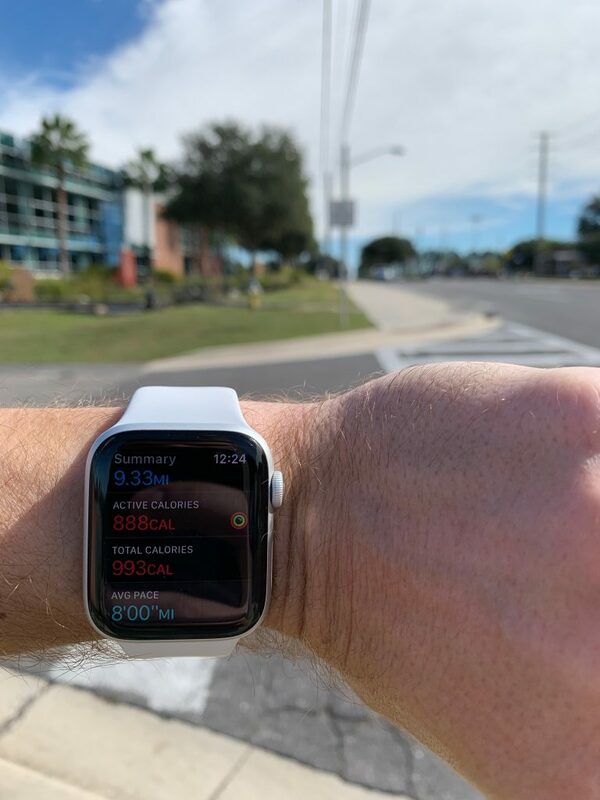 I noticed I was struggling to keep up a good pace, and that maintaining good form was more and more challenging as I tried to compensate for various aches and pains. I should’ve stopped running right after the Half Marathon, but I was too stubborn. Now it’s time to pay the piper. What would’ve been a week or two of rehab has probably ballooned into a month, all thanks to my stubbornness. I’ve been thinking a lot about how there’s a fine line between “Just tough it out!” and “Why didn’t you stop before you hurt yourself? !” It’s really hard to see that line in real time, and it seems like the only way to really know where the line is is to look backwards and find it. But I also think that identifying that line is a skill that can be honed over time. The best way I know to hone that skill is to constantly monitor pain points: Is it better or worse than last time? How hard is it to aggravate it? Can I work around it? What’s the upside to continuing? What’s the downside if this turns into something bigger? I’ve been doing this with my business lately and it has helped me identify some small pains that I can resolve before they become big problems. That makes things easier for me and better for my customers. You can use this sort of analysis with your career. Small pains often become big problems if left untreated, so it’s worth identifying those small pains and thinking about solutions before they become big pains. It’s the beginning of a new year, so this seems like as good a time as any to start planning ahead to make 2019 more productive by finding and fixing small pains before they become big problems. Take a few minutes and ask yourself, “What are some small career pains that could become a big problem if I don’t handle them now?” You might find some easy wins with a big payoff for very little effort. It’s been three years since I quit my day job to build the Fearless Salary Negotiation business. It’s finally paying off. I didn’t think this year would go so well for my business, especially considering that I was almost out of runway only 18 months ago. But my 2018 income is very close to what it was when I quit my day job in 2015, and now I have the freedom, flexibility, and personal satisfaction that comes with making a living from something I built from scratch. The decision to double down on salary negotiation coaching in 2017 continues to pay dividends as I work with more clients and raise my rates to capture more of the value I create with my work. That’s the business side of things. Personally, things are great. I’m fortunate to have a very close group of friends. I’ve gotten better at running, and I’m pretty good at making omelettes. Of course there are things I would like to work on for 2019, but 2018 was amazing! So how did I do this year? Let’s take a look at my 2018 Goals. The goal was I want to make $10,000 per month in net revenue in 2018. More specifically, I would like to do that by selling $5k in products and booking $5k in coaching per month for the year. I missed this goal, but not by very much. And each $5k sub-goal is pretty close to what I actually did. The difference between hitting and missing this goal comes down to a consulting retainer that ended in September after about a year. If that kept going, I would’ve made it. I also could’ve made it if October wasn’t so horrible revenue-wise. To be honest, this is bonkers to me. I didn’t actually think I might hit this goal—I just wanted to make sure I set an ambitious-but-achievable goal to maximize my earning potential in 2018. I did hit a secondary goal, which was to double revenue year-over-year from 2017 to 2018. I did that from 2016 to 2017, and it seems like “do twice what I did last year” is a reasonable goal that can be achieved through good planning, execution, and moderate growth. The goal was I would like to build my organic search traffic to 100,000 unique visitors a month. This one is interesting. I did hit this goal, but then traffic fell off and settled in around 80,000 visitors a month. The good news is that with more traffic came more revenue, so there was a direct benefit to this goal. Here’s that goal: My goal is that 2% of email subscribers become paying customers within the first 30 days. This was a huge miss. HUGE miss. The good news is I did build one funnel—the one that gets the most traffic—that pretty consistently converts 1% of subscribers to customers for a $47 product. So there’s a lot to build on there. Ehhh, I did some of this but not very much. I worked with a few clients to tweak their SEO, and I worked with some clients on their content strategy. But I just didn’t feel motivated to push this part of the business. I think there are still things to focus on in my core business and I didn’t want to get too distracted. I’ll write about this later, but I also ran a PR for 15k and finished my first Half Marathon. At the beginning of this year, I felt like the trajectory was in the right direction, but I still had some concerns. I started the year in a bit of a cash crunch as I was still digging out from the financial hole I dug to get through 2017. To free up cash for 2017 taxes, I had parked some expenses on a 0% credit card. It looked like I would be able to pay it off before the interest rate jumped in August, but it would be close. I also decided all 2018 taxes would be taken off the top and held in a dedicated account so I wouldn’t have to scramble to pay taxes this year. Saving ahead for 2018 taxes plus paying down that 0% card meant 2018 could be sort of a financial grind. I knew that was likely when I made those decisions in 2017, and now it was time to pay the piper. January was mediocre, but then things took off: February was my best month ever, and March, April, and May were all consecutively better. With the exception of a horrible October, the second half of the year was great (but not quite as strong as Q2). I may be doing enough business that I’m able to spot some seasonality, but I’ll have to wait and see. For now, things are good with the business and I finally feel like I can relax a little and enjoy what I’ve worked to build over the past few years. 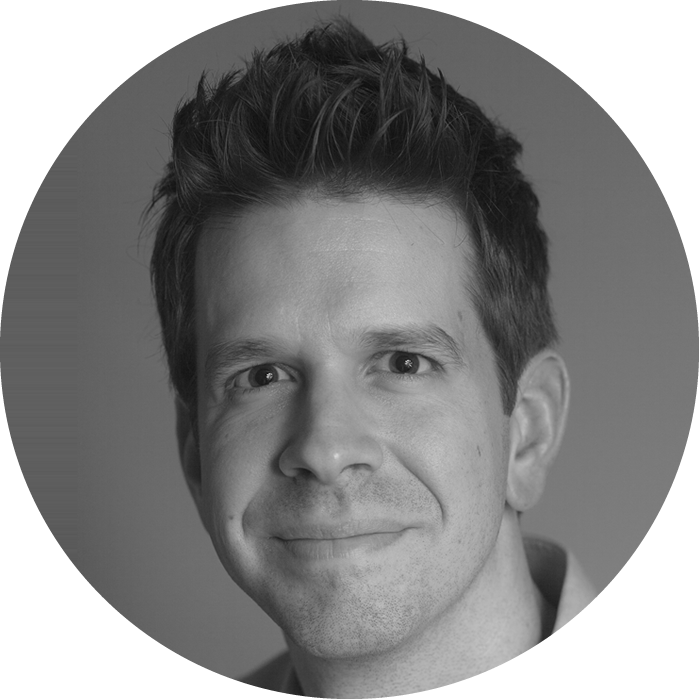 In June of 2017, I repositioned myself as a salary negotiation coach for experienced software developers. Before that, I was basically positioned as an author who also did some coaching. That shift in focus is what saved my business. I kept pulling on that thread in 2018 and it continues to pay off in a few ways. First, I’ve gotten more and more reps negotiating job offers with big tech firms, so I know their playbooks. This has made me more confident and gives me the tools to pitch my coaching offering more effectively. Second, I’ve been able to raise my prices so I earn more for my work by reaching a more experienced market where my work has more value. Basically, I’ve enabled more and more experienced software developers and senior managers to find me when they have job offers, and their job offers are usually very substantial, which means their improvements are often substantial. The combination of those two things is what has really enabled my coaching business to take off. I also really like what I do. It’s fun to help people who’ve worked so hard to build a valuable skill set actually capture more of the value of the skill set they’ve built. Selling digital products is at once a boon to my business and an enigma. Traffic and sales were up this year, but I continue to suspect that I’m selling far less than I should given my traffic levels, and the quality and value of my products. This has to be a focus for me in 2019. With over a million visitors to my site in 2018, I should be selling a lot of products. I hit some pretty big milestones this year. I was this close to hitting 35,000 email subscribers before I pruned almost 10,000 subscribers. Since I started building my list in January 2015, I’ve had more than 60,000 people join my list. About 20,000 of those unsubscribed over time, and I pruned another 12,000 or so. The churn is normal. The pruning is sort of controversial among my peers. But the bottom line is I had a ton of people on my list who were not opening or interacting with any of my emails, and I don’t think it’s good for anyone if I keep emailing those folks. So I’ll end 2018 just shy of 30,000 active email subscribers. That’s crazy to me. I had 600 subscribers after my first full year doing this. Now I get more than that in a typical business week. Now I just need to get better at aligning my product offerings to my email subscribers’ needs. I also had a fun opportunity to consult with a very successful business. It was an unusual arrangement without any real parameters: Just come hang out, observe what we’re doing, and make suggestions to help us improve. It worked really well for a while and it was a ton of fun, but the business itself eventually became so active that I found myself lost in the shuffle. I would love to do more of this sort of thing, and it’s good to have this experience so I can help define the desired outcomes—for myself and for the business—of this sort of engagement better in the future. Last year, I made a small product called The 15-Minute Counter Offer. I was trying to learn more about how I could help folks finding FearlessSalaryNegotiation.com when they needed help negotiating a job offer. What I found was that most of those people were in a real hurry—they had just a few hours from the time they found myself site until they had negotiated their offer. So I built The Essential Salary Negotiation Email Pack to help with their specific needs in a very short timeframe. That product, plus The Salary Negotiation Crash Course—a more in-depth-but-still-streamlined, end-to-end job offer negotiation course, offered as an upsell to the email pack—made almost $12,000 in 2018 and I didn’t start selling it until April. This is by far my most successful new product and I hope to create a similarly successful offering for folks who aren’t sure how to ask for a raise in 2019. There were 1.023 million New Users on FearlessSalaryNegotiation.com, and 90% of those were from organic search traffic. In 2018, I had 24,300 new email subscribers, but since I pruned about 12,000 recently, active email subscribers is “only” 28,500. No hockey stick this year—just consistent growth. They’re basically the same as they were last year—about .4% of email subscribers purchase something from me in the first 30 days. The consistency is a little deceptive as I did significantly increase conversions for one funnel, and I also significantly increased opt-ins for all other funnels. On one hand, it’s really frustrating to see such a huge miss. On the other hand, I almost hit my revenue goals anyway, so if I actually find a way to get those sorts of conversion rates I’ll be doing very well. Two things stand out when I think back on this year: traveling and running. 2012 was the beginning of a years-long plan to build a business and stop working for other people. That’s vague, but it’s about as specific a plan as I had in mind. I started by getting a good-paying day job to leverage my prior career experience and newly-acquired MBA. I used that income to start paying down debt as aggressively as I could, and I began slowly acquiring the basic skills I would need to (eventually) build a successful business. For the next few years, I was either paying down debt or saving up a runway while basically working seven days a week on my day job and side projects. In 2015, debt free and comfortable with my runway, I quit my day job to focus full-time on building a business. For a little over two years, I worked really, really hard seven days a week. I think that sort of work was necessary to build the basic infrastructure of my business, but it was also very taxing. In 2017, I decided the seven-days-a-week schedule needed to end, so I sort of re-entered normal society and focused on community. Either the foundation I had built would facilitate a real business or it wouldn’t—it was time to find out. So I stopped working so much, but I still wasn’t earning enough to take non-business trips or anything like that. I had to pass on a number of super fun trips to avoid burning too much of my savings. That changed in 2018 as my business actually started to take off. I went skiing for the first time since high school and I loved it. 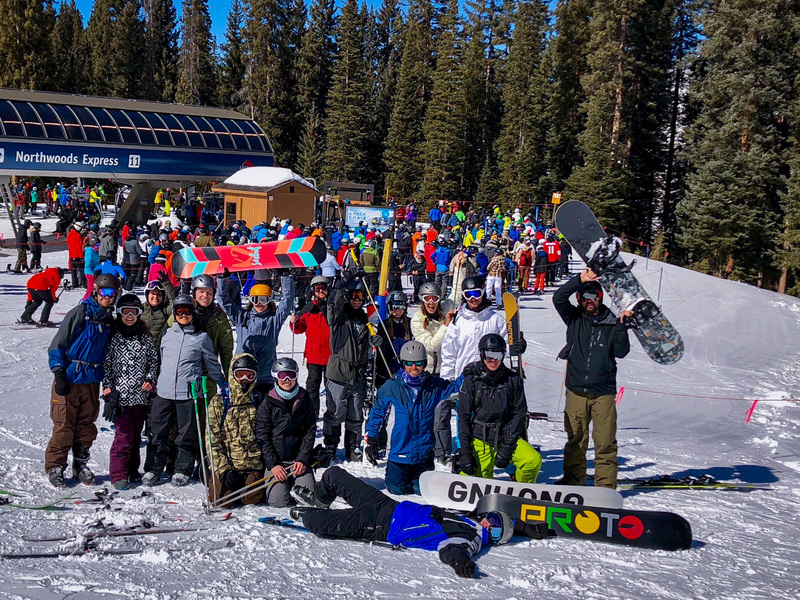 My friends go on a ski trip every year, and I was always a little jealous I couldn’t make it. But I also remembered absolutely hating skiing, so it didn’t sting too badly to miss that part. I figured I would give it a shot this year, mostly so I could say, “See! I went skiing and it’s still awful!” But it turns out I really liked it, and that getting ski lessons is actually very useful. Who knew? I had a blast and I can’t wait to get back out there in 2019. I also went to Boston with a couple college buddies in June. It was amazing. I hadn’t taken a trip like that in a very long time, and it was everything I hoped for. At the end of 2017, I asked “Am I a runner now?” In hindsight, that question was pretty naive. The answer is vey clearly no. Runners run a lot more than I do. But I am a hobbyist and I made progress on my hobby this year. 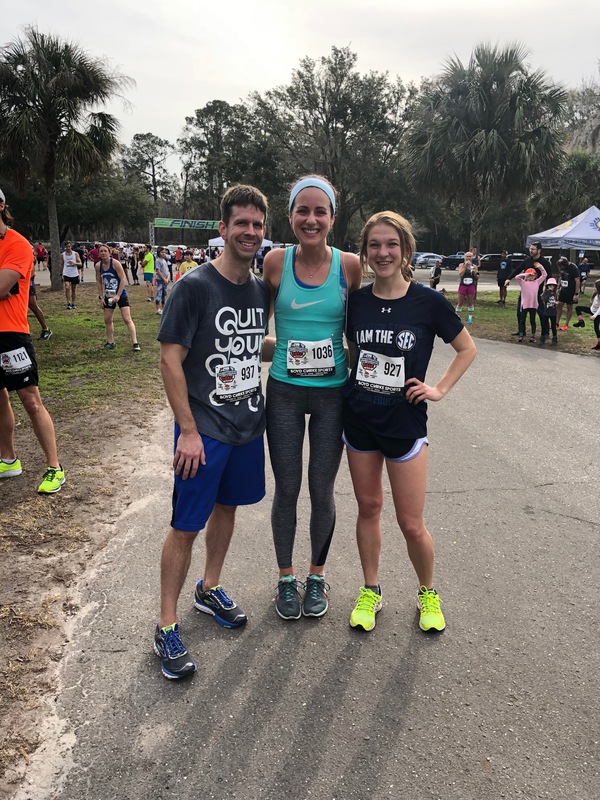 In January, I ran my first 15k and it did not go well. Turns out that running a 15k with the flu just isn’t a great idea. But I finished and my time wasn’t terrible (for a guy with the flu). 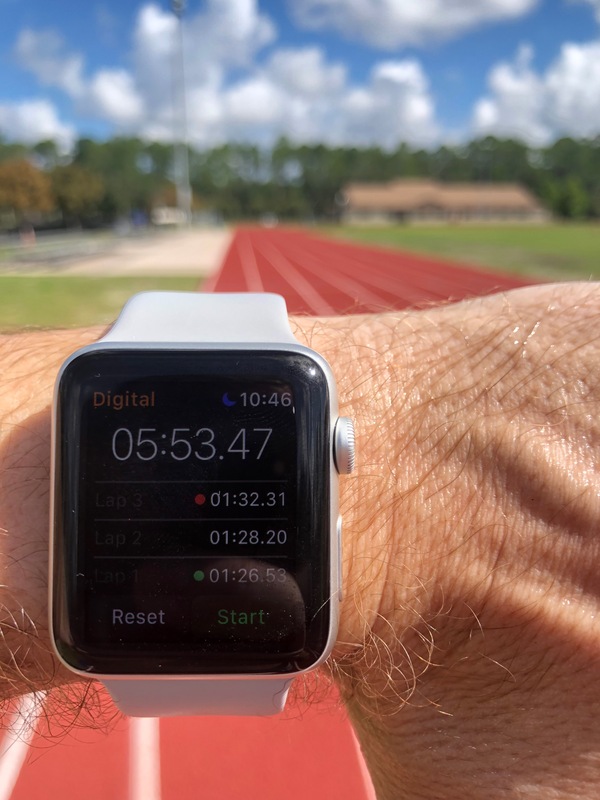 One of my original running goals was to run a sub-6:00 mile. It took me a few tries and about 18 months, but I smashed that goal with a 5:54 in August. This may have been my most satisfying PR yet because it as almost exclusively mental. I had to try and fail a few times to understand exactly how to run a fast mile, but once I understood it I was able to knock it out. I was prepping for a Half Marathon and I ran an 8:00-flat pace 15k. This wasn’t even on my list of goals, but it felt pretty good. When I started running at the beginning of 2017, I set a goal of running this pace for 10k. So it’s cool to run that time for a longer distance. I was planning to run a Half Marathon earlier in the year, but the aforementioned flu ruined my training and I bailed. Plus, the Half I was going to run would be during the winter and the weather was going to be awful. A wise friend told me, “Do you really want your first Half Marathon to be a miserable experience? Why not just wait for a better one?” So I did. I ended up running a Half in sunny, 60º weather and it was a pretty good experience. The one hitch was that the course was only 12.1 miles, so I literally had to go the extra mile to finish. At least we got cupcakes at the end. I ended up with a pretty good pace of 8:24. I was very happy with my race strategy as I felt I did the best I could, and I’m certain I could go quite a bit faster with better training. That said, I doubt I’ll run too many more Halfs. I’m glad I did it, but it really took a toll for like two weeks after the race. I’m going to keep things pretty simple this year. I have no idea if this is possible or how I will do it, but I don’t think it’s a crazy goal. Can I double product revenue? I think I can, although I don’t quite know how. I have the traffic and products to do it. There are also a lot of sub-goals that I won’t write about here, but which I think will help with this high-level goal. Can I double coaching revenue? Yes, by more consistently booking clients and continuing to raise my rates. This year, I earned pretty much what I earned in my last year of full-time employment. That feels amazing. But I didn’t quit my day job to make the same money I made before. I quit my day job to earn multiples of what I was earning before (among other things). So I want to continue pursuing that as long as it doesn’t require me to return to being a hermit. I’ve been chasing this one for a while, and I probably should’ve tried to knock this out when I ran the sub-6:00 mile earlier this year. Unfortunately, I was battling some injuries and decided to slow down before I really hurt myself. I would like to check this one off the list. I’m honestly not sure if I can do this or not. For one thing, I’ve got nagging injuries that basically prevent me from sprinting. But if I can get healthy, I think I’ve learned enough about proper running that I can do this. This wasn’t one of my original running goals (I wasn’t sure I’d ever break 70s), but I think it’s still an achievable stretch goal. Or maybe it’s not. I dunno. I travel to relax, and I’d like to do that more this year. 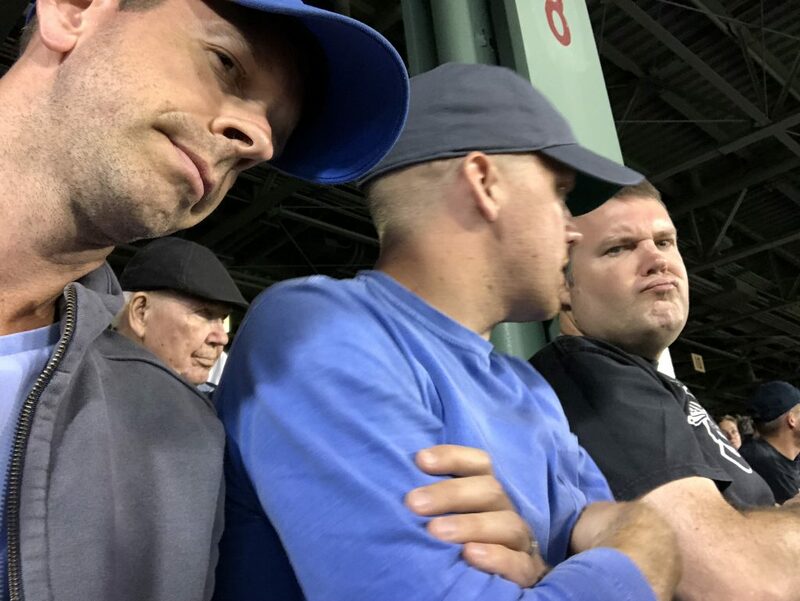 I’d like to take another trip with the Boston crew this summer. That trip was a lot of fun and I think the three of us are pretty much an ideal traveling group. A trip to Europe would also be great—I miss Italy—but I don’t have anything specific in mind yet. 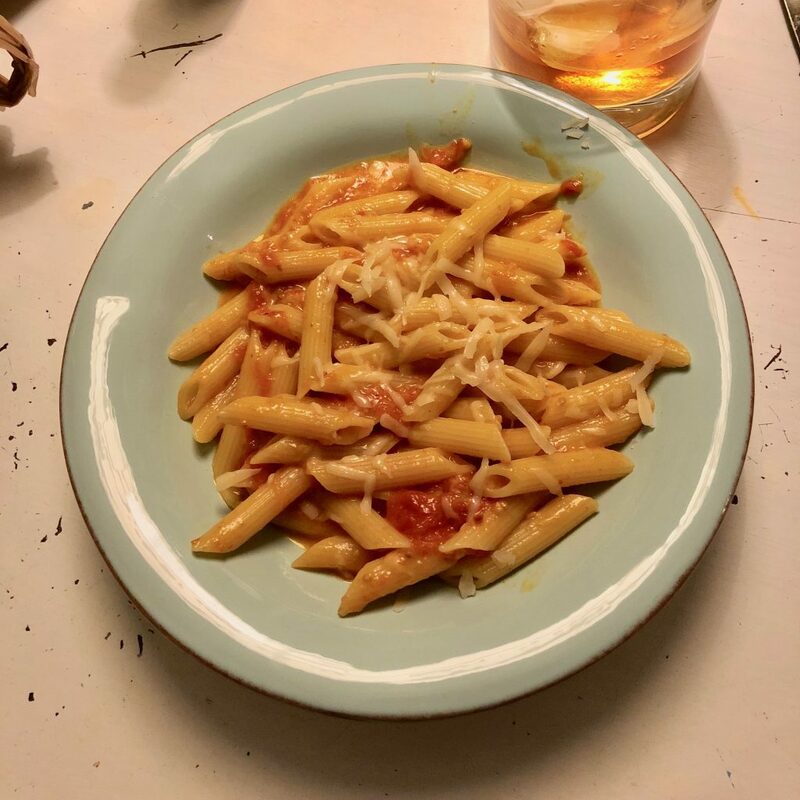 My favorite Italian recipe is technically called Penne allo scarpariello, but I just call it “the penne dish”. A couple of friends brought it back with them after they spent a year living in Salerno, Italy. I was hooked the first time I tried it, so I asked them for the recipe. It’s delicious! And the process to make it is pretty simple…assuming you know what you’re doing. As you can see, there are only six ingredients, and yet I ruined it the first couple times I tried to make it on my own. Both times, I missed something small that ended up being a big problem. So I went back to my friends and asked them to show me how they did it. I immediately realized where I had messed up: The first time, I had the heat just a little too high, and I overcooked it; the second time, I had the heat a little too low and the cheese didn’t melt properly so it had a funky, gritty texture. Now I can make the penne dish in my sleep and it’s perfect every time. My friends love it and I love making it. But when I share the recipe with other people they never try to make it. Even though there are only a few ingredients, it’s too intimidating knowing that there are subtle things you have to get just right in order for it to work. So I always offer to show them how to make it—just like my friends showed me—pointing out the subtle things along the way. Then they get it. I wrote the book on salary negotiation—it’s called Fearless Salary Negotiation and thousands of people have read it and used it to make more money. It’s a detailed recipe with a few simple ingredients for getting paid what you’re worth. And it works for a lot of people who have used it to earn a lot more throughout their career. But sometimes there are more nuanced situations where a subtle tweak here or there can have enormous benefits. And sometimes, people just prefer to have someone else—an expert—do the work for them. My very first paid coaching client already had a copy of my book, but she still reached out and asked if I would help her with her salary negotiation. I was a little surprised that she reached out, but I knew I could help so we got to work. We were able to improve her job offer by several thousand dollars, and I was really happy for her. But I couldn’t quite understand why she reached out and asked to pay a steep fee to work with me rather than just buy my book. 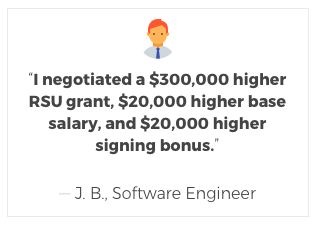 That’s why I offer one-on-one full-service salary negotiation coaching for experienced software developers. For those who just want someone to do the work for them, and for folks who can stand to make a lot more money with a subtle tweak to my salary negotiation recipe, salary negotiation coaching is an amazing value. And the best part is that I love negotiating job offers, so it’s a lot of fun for me while being valuable for my clients. Where was this video BEFORE my first time skiing? I couldn’t see through all the snow spraying me in the face, so I just closed my eyes and waited for impact. Another skier was trying to stop before he ran me over, and he barely missed me. I had fallen – again – and couldn’t get up. This was my first ski lesson. It was not going well. Even better, the skier trying to avoid me was my good friend and instructor, Scott. He was much better than I was and he didn’t have much patience for teaching a newbie how to ski. I would just sort of point myself down the mountain and try to maintain some control while zipping down in a straight line. When I eventually got to the bottom, I would either coast to a stop or intentionally wipe out to avoid hitting anyone. It was awful, and I was content to never ski again. Then my friends convinced me to give it one more shot, on powder this time. So I’m heading to Colorado next week to try again. They insist it’ll be a lot more fun than I remember. It’s a big investment—time and money—for something that could turn out to be really un-fun. So I put on my “learn a new thing, even if it might be unpleasant” hat and started doing some research. He’s been teaching for so long that he’s heard all of those concerns before. His list of “10 beginner lessons” probably came directly from hundreds of terrified students who have said, “What if I fall? How do I get up again? !” as they pictured themselves stuck on the side of a mountain, people zipping by as they struggle to stand up, for hours and hours and hours. After watching that short video, I have enough confidence to give it a shot. I’m still going to take lessons the first day, but I’m a lot less worried about embarrassing myself than I was before. Most people feel the same way about getting a raise. Maybe they tried it once before, but it didn’t go very well. So they gave up and decided to just wait for their next raise to come along whenever it happens to come along. Sometimes, they don’t even get that far—the idea of asking for a raise and having to defend their request may be so daunting that they never even try. Now it’s February again and most companies are gearing up for performance evaluation season. You know you’re underpaid, and you want to do something about it, but you don’t know where to start. Last time you tried, nothing came of it, so why try again? This year can be different with Get Your Next Raise, a simple way to learn the 7 key things you need to get your next raise. I’ll be your expert instructor showing you how to get your next raise in just 7 short video lessons with clear action items to help you make steady progress to your goal. I’m opening up registration soon, and you can get an exclusive launch-day bonus when you join the early access list! ?Ready to finally get paid what you’re worth? I ran my first 15k (9.3 miles) this weekend, and it didn’t go as well as I’d hoped. The official race results say it took me about 1 hour and 20 minutes to finish with a pace of about 8:38 per mile. At first, I was pretty upset with myself because I hoped to be much faster. I tried to go faster, and kept telling myself, “Ok, it’s time to start moving!”… but that extra boost just never came. Then I talked to a friend of mine, and he reminded me of a pretty important detail: I was recovering from the flu, so I was probably dehydrated and of course I didn’t run a very fast race. I probably shouldn’t have run at all, so finishing with a decent time was actually a great result. The more I thought about it, the more I realized there were a lot of positive things about the race, even if I didn’t run a great time. 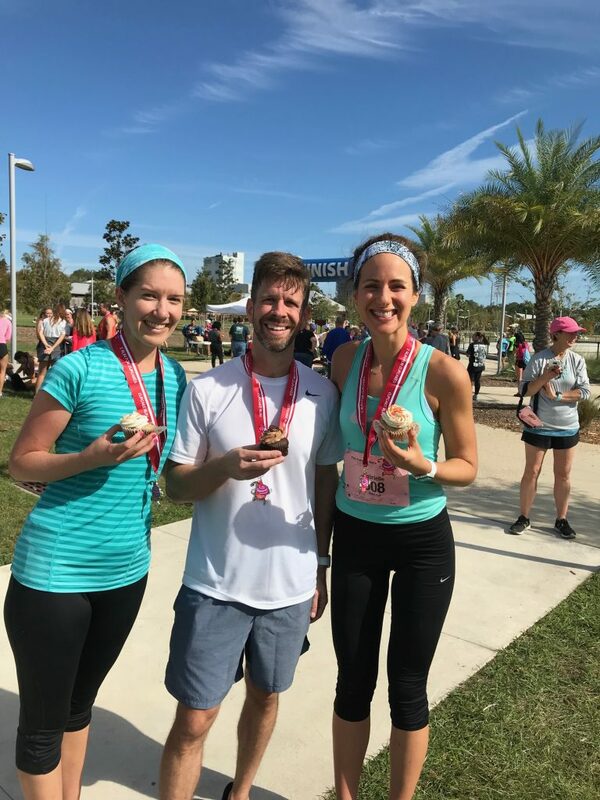 I ran the race with two friends, and it was fun to see them run well and to encourage each other. I ran further than I’ve ever run before, and I felt pretty good despite the flu. I even experienced my first “runner’s high”, which I previously thought was just a myth. 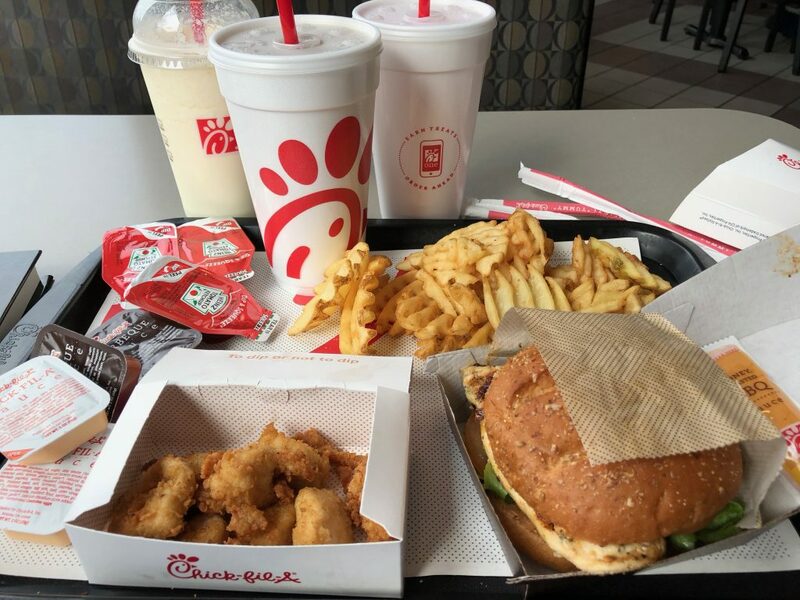 Plus, I went to Chick-Fil-A for my post-race meal, and I ordered enough food to feed a small family. There were a lot of positive things about the race, even if my time wasn’t what I had hoped for. Sometimes the value in doing something is the thing itself. I think this applies to our work, too. It can be tempting to look for “business value” or “promotion potential” behind every little thing we do, but that takes all the fun out of it. Don’t forget to look for opportunities to do work that you enjoy, just for the sake of having some fun. Not only does that make it easier to finish the hard things, but you might find a whole new fun dimension that you can add to your work. Goals are my best tool for staying motivated. I have macro goals—big things I want to accomplish—and micro goals that support those macro goals—small things that give me easy wins while making progress toward my macro goals. Before last January, I had never really been A Runner™. I had run before, but mostly as a social thing where I would join some friends for a run from time to time. I would also occasionally run for exercise, but that was rare. That changed last January when a friend invited me to hop into a running group with a bunch of other friends. It was the New Year, and I was feeling that post-holiday sluggishness after eating everything in sight for the past couple months. Running is hard, but it was especially hard when I first started. My body just wasn’t used to it, so everything hurt. The only way to keep myself motivated was to set some goals. My first goal was pretty easy: Run and finish a 10k race with some friends in April. But as that race got closer, I realized I would need to adjust this goal to keep motivated. I knew that if my only goal was “finish a 10k”, then I would lose motivation after I finished that race. So I set a new macro goal: “Finish this same 10k race with a sub-8:00-per-mile pace.” Now I had one year to improve my pace by a little more than one minute per mile. All of these micro goals are challenging, but I don’t think any of them are out of reach—that keeps me motivated to keep training. A couple weeks ago, I hit my macro goal, so now I need a new one. I haven’t achieved any of my micro goals yet, but training for them directly contributed to finally achieving my macro goal. That’s the value of micro goals—you can win directly by achieving them, and you can win indirectly by achieving the macro goal they support. Stop and think about your current macro goal for your career. If you have one, make sure it’s achievable. If you don’t have one, now is the time to set it. An example of a good career macro goal might be, “Become a people manager in the next two years”. Once you’ve defined your macro goal, support it with micro goals. These goals are related to your macro goal, but much smaller in scope, and thus easier to accomplish. Using that same example, some micro goals might be, “Take a leadership training course in 2018” and “Find at least one junior team member to mentor this year”. When you set your macro goal and back it up with micro goals, then you can focus on smaller wins with those micro goals while still making progress toward your macro goal. Nick Saban did something truly remarkable on Monday night: He benched his starting quarterback and brought in a backup for the second half of the National Championship football game. It’s hard to describe how crazy this is – it’s never happened before. Football coaches are notoriously stubborn. They learn a system that they like, and they hold onto that system at all costs. And this often gets them fired as they start losing games to newer coaches who have figured out how to beat their go-to system. But Nick Saban isn’t an ordinary coach. He’s probably the best college football coach ever because he’s constantly evaluating the situation and looking for opportunities to adjust. In this game—the most important game of the season—he evaluated his game plan, said THIS ISN’T WORKING and switched to a completely different game plan at half time. I call this “optionality” – maximizing the number of options available at any time, and having a plan to choose and execute the right option for a given situation. This wasn’t some sort of knee-jerk reaction to falling behind: They had practiced for this, and they ran a totally different offense with their backup quarterback in the second half. AND IT WORKED! His team, the Alabama Crimson Tide, came back and won the game! You knew this tie-in was coming, right? Always keep an eye out for new options and have a plan to take advantage of the best options when your current plan isn’t working. An easy way to increase your career optionality is learning a new skill—a programming language, software tool, or soft skill—so you’re ready for an opportunity that might be available soon. A harder way is to earn an advanced degree (like an MBA) or certification. This is a big shift in thinking, but it’s worth it: Instead of just waiting for new opportunities to present themselves, you can proactively look for new options to take advantage of them. That’s how you improve the trajectory of your career. Fearless Salary Negotiation will show you how to proactively pursue raises and promotions using methods that work. Check it out if you’re due for a raise! I was a Project Manager on a team of about 8 people at a company of about 30 people. Still, it was a pretty big surprise that my boss wanted to go get cheap BBQ for lunch. I had been doing pretty well, impressing clients and even winning some awards. My co-workers seemed to like working with me. I tried to give good input and share my opinions in the right situations. But I could sense this wasn’t a back-patting sort of lunch—Humble Pie would probably be on the menu. He told me my body language was negative. I didn’t seem to be engaging to find solutions so much as simply venting about my frustrations. When my work was scrutinized, I wasn’t open to suggestions that could help me improve. This was pretty hard to hear, and I didn’t take it well at first (reinforcing his reason for sharing this feedback). But the more we talked, the more I understood that the actual words I spoke were only part of the equation. We work with people, not robots, so our facial expressions, body language, and tone all contribute to how others perceive us. I began to see that he was simply advising me to get out of my own way. By seeming standoffish and resisting input, I was making others less likely to offer feedback that could be valuable for me and our team. I forced myself to actively listen to all feedback without passing judgement in the moment. I decided that I would not criticize something without having at least one thoughtful solution to the problem. If you’ve sat in a meeting with someone who has no idea what they’re talking about, then you know how hard these things are to do in practice. So it took a while to make these adjustments, but they paid off in spades. It became easier to solve difficult business problems because I really listened when my colleagues identified things we could improve. I also found that I had access to more unique opportunities because I became known as a thoughtful collaborator who could work with a team to solve difficult problems. Those opportunities helped me get promoted faster and get better paying jobs with more responsibility. I’m glad my boss took me to lunch and shared difficult feedback over cheap BBQ that day. My career has been much better for it. If you took yourself to lunch to share one piece of career advice, what would it be? That might be a good place to focus your energy as we head into the home stretch of 2017. I got up and went to Starbucks like I do almost every morning. That’s where I go to get some coffee, catch up on the news (specifically, that means reading Twitter), and plan my day. I like having a routine, especially in the morning, because it reduces the number of decisions I have to make when I’m sleepy and my brain isn’t fully functional. So I got my coffee, found a table by the window, and popped into Tweetbot to see what was happening. I saw the little dot that said I had a new mention, so I checked it. Morning @JoshDoody any chance you might be free to talk to @BBCNewsChannel about pay negotiation in light of #bbcpay today? That’s what I saw. The BBC? Interesting! I replied right away and we did the “follow each other so we can DM” dance. I wrapped up coffee time and headed in to my office, which is about 2 minutes from Starbucks. It would take a few minutes for Tammi to follow me back and DM me, so I figured I might as well move to my office so I could set up for my interview. At this moment, I wasn’t even sure what kind of interview we were talking about. Most of the time when I get this sort of request, it’s for either an email interview or a phone interview, and those usually end up published online. So I was thinking this might be a phone interview that might be aired on TV or transcribed for quotes for online, TV, or radio use. To be clear: I had no idea I was going on national TV soon. Tammi DMs me her email address and lets me know that they’re on air in 45 minutes, and would I be free then? Now I know this is a live interview. I’m still not sure if it’s audio-only or video. I’m assuming audio-only. Tammi emails me with a summary of what they’re talking about and asks some questions to give me a sense of what sorts of thing I might be asked on the air. She also mentions that it would be great if we could do a live interview for TV, and asks if I have Skype. I confirm that will work and answer the questions she asked to show that I know what I’m talking about. As an aside, I’ve found that any time I’m asked questions about my subject, giving very thorough answers is almost always the best way to go. It demonstrates my expertise and gives the asker as much information as they need so that can pare it down to whatever they were looking for. Over-delivering in this particular area has gotten me a ton of good opportunities to contribute to large outlets. We also exchange a few more emails about logistics like my geographic location. Meanwhile, I start setting up my office for a Live TV interview. I cleared my whiteboard, raised my laptop on a pile of books so the webcam was eye level, set up two super-cheap desk lamps I keep handy for key and fill lighting, and began testing everything to make sure it looked and sounded ok.
Tammi asks for my phone number so a producer can reach out to me to start getting ready to go on air. I continue monkeying with my setup so it looks as professional as possible on such short notice. A producer from the BBC News Channel calls me to confirm some details and tell me what’s going to happen. This call lasts one minute. I continue fiddling with technical stuff and testing things to make sure everything works. I mess with my bookshelf so it’s not totally barren. I drink water to make sure my throat isn’t dry. I fire up my lights so they can warm up in time. I talk to myself out loud a lot so my voice warms up as well (I’ve been awake for about an hour at this point, so I’m still feeling and sounding sleepy). I log into Skype and hang out waiting for the BBC to call. 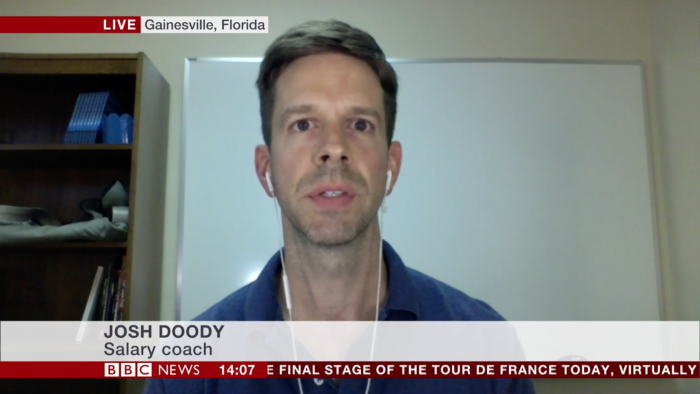 The BBC calls me on Skype. A different producer this time. He does some basic checks to make sure everything is ok. I’m on camera now and planted in front of my laptop. I won’t move a muscle for the next 12 minutes. I don’t see anyone on the other side, but I can hear Shaun Ley interviewing a guest and talking. There’s a commercial playing. Shaun Ley is talking about me. Now he’s talking to me, but I can’t see him. All I see is a green dot on my MacBook, and some stars from the bright lights in my face. Shaun asks me some questions and I answer them while I continue staring at the green dot. Shaun and I are finished talking and a producer thanks me for my time. We disconnect on Skype and my 15 minutes is over. In only an hour and nine minutes, I had spoken with three BBC producers over four different mediums, plus talked with Shaun Ley on Live TV. But my time with the BBC wasn’t quite over. @JoshDoody Hi Josh, I work at BBC Radio 5 Live. Great to see you on TV! Pls could I DM you about a potential interview tonight? Flwg you. This one was a slower burn, but the tick-tock is still interesting. I exchanged DMs with Sophie and sent my phone number so we could chat about the interview. Sophie says she’s calling soon. Sophie calls for an exploratory chat where she asked several questions about different aspects of salary negotiation and the gender pay disparity. The interview would be quite a bit later in the day, so I think she was trying to get as much information as possible to enable them to ask questions that dovetailed with their programming while complementing other discussions they would have over the next several hours. We wrap up after 16 minutes and I’m told the interview should be at 6:05 PM Eastern Time, and that they’ll call me a few minutes before that. A BBC 5 Live producer calls to make sure everything is set up. We do some technical tests to make sure they can hear me and then I am in the queue. I can hear Stephen Nolan talking with a Sky reporter and the conversation is a little… contentious? BBC News and Sky are competitors, so this is to be expected. I confess I was a little nervous that I might be walking into a tricky situation, so my guard was up a bit. The interview with the Sky reporter went a little longer than I expected, but then I could hear Stephen transitioning to our interview. I’m on! This was a much less difficult interview logistically, but the questions were more challenging. We didn’t have as much time as I expected, but it was a good interview overall. The interview was over, the producer thanked me for coming on, and that was it. 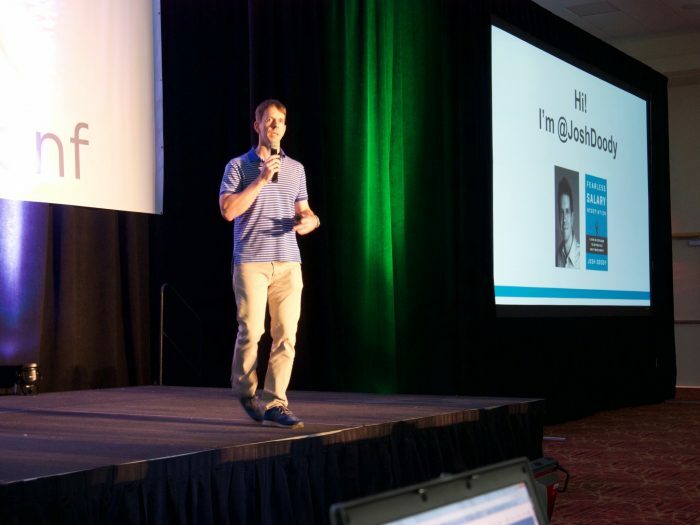 I’m writing this from my hotel room at MicroConf, which is a conference for bootstrappers and entrepreneurs who are building (mostly) solo businesses like mine. I’m here because some of the smartest people I know—and lots of smart people I don’t yet know—are here, and I want to learn from them. But I’m also pretty introverted (did I mention I’m holed up in my hotel room writing this?) and I find conferences and large groups of people to be overwhelming. A few people I want to talk to while I’m there. A couple big questions I hope to answer. And then my entire mission for the conference is to find and talk to those people and find answers to those questions. That’s it! I’ll attend the seminars, go to some meetups, but I’m always trying to find a way to talk to those people and find answers to those questions. 1. How do I reach more people who would benefit from Fearless Salary Negotiation? I’m very happy with the products that I’ve built, and testimonials from successful customers keep pouring in. I need to learn how to reach more potential customers. 2. How can I better communicate what Fearless Salary Negotiation is to folks who read my articles, download free resources, and take my email courses? It’s one thing to make new people aware of Fearless Salary Negotiation, but it’s another thing entirely to help them decide if it’s the right investment for them. I actually developed this strategy when I had a full-time job working for a larger company. I would think about which managers in the company might be working on projects where I could contribute, then I would just look for opportunities to talk to them about those projects. It always helped to have a couple of thoughtful questions ready to go so I could make the most of the conversation. How’s it going so far? Pretty good! I’ve already spoken to two of the people on my list! I still have a few more to go, but it’s already been a successful conference for me. If you attend business conferences, you should read my book Fearless Salary Negotiation. Can’t hurt to be well compensated for all those trips, right?